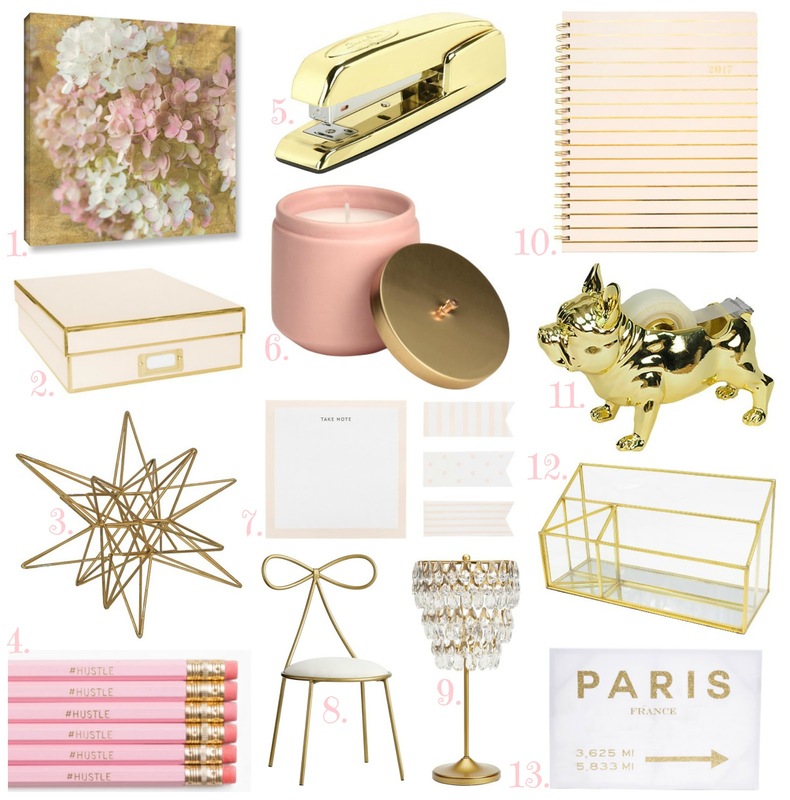 Blush and gold is such a beautiful combination where girly meets glam. 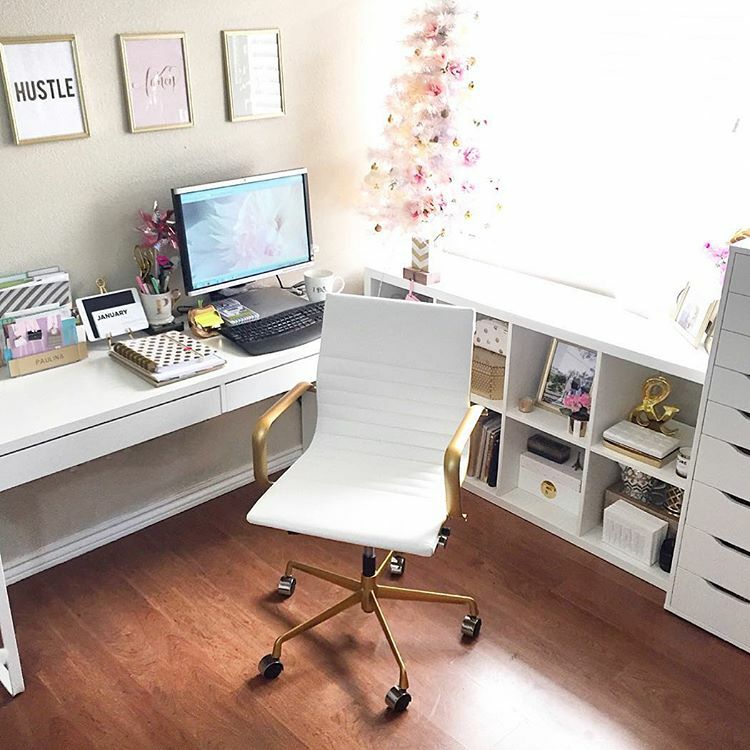 After having a blush and gold wedding I thought I would be over the color scheme, but I'm even more obsessed with it now that it has oozed into my home office! Since it's my personal space in our house I wanted to be totally me- girly, chic and cute! I started with a gold and white combo that I shared here and after introducing pink it all started feeling more cohesive. 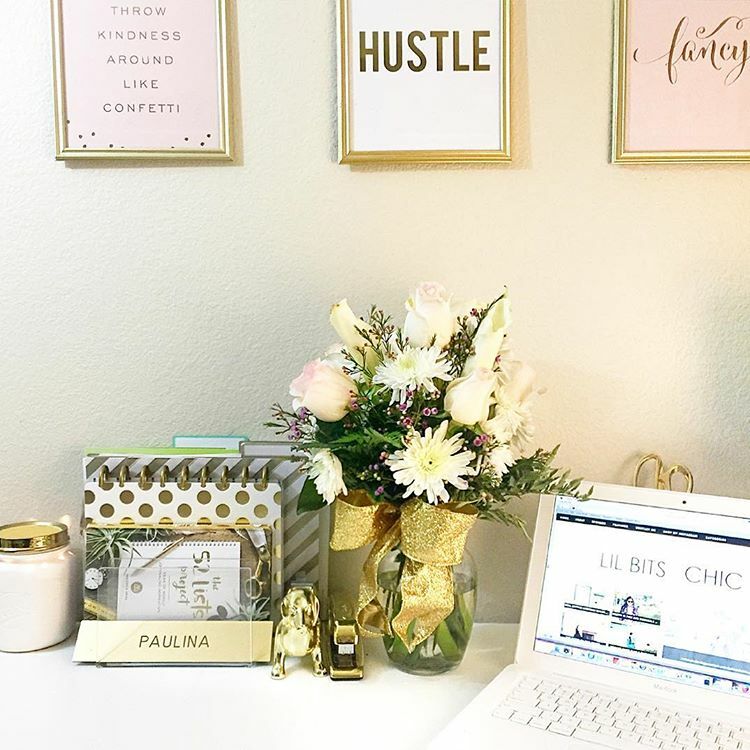 Being surrounded by these pretty desk accessories and decor while blogging or working from home inspires me, and for all you that love this combo too I'm sharing some of the cutest pieces I have and have stumbled upon while shopping for my home office! Click to shop below or pin to your office board! *CLICK TO SHOP THE ITEM! As soon as my home office is complete I'll be posting about it here, but in the meantime see snippets on both snapchat and Instagram (both username: lilbitsofpau) !